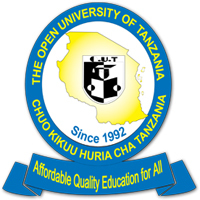 The Open University of Tanzania (OUT) operates through its temporary headquarters in Kinondoni, Dar es Salaam and its 28 regional centres in each region of Tanzania Mainland and two coordination centres in Zanzibar and Pemba Islands. The Open University of Tanzania (OUT) hereby invites applications from competent and suitably qualified Civil Servants to be considered for immediate employment to fill the following vacant post. Possession of PhD, Master degree in relevant fields with at least a GPA of 4.0 out of 5, and a minimum GPA of 3.8 out of 5 or its equivalent in the first degree with minimum score of B+ in relevant subjects or its equivalent. He/she must be computer literate, being capable of using ICT to enhance teaching and learning. – To undertake consultancy projects. NB. Age limit: Not above 45 years. Possession of a good Master’s Degree (B+ or above GPA 3.8 – 3.6) in a relevant discipline or equivalent after having attained a GPA of 3.8 and above at undergraduate level. He/she must be computer literate, being capable of using ICT to enhance teaching and learning. – Conducting research work and disseminating research findings. NB. Age limit: Not above 35 years. Possession of a good First Degree (B+ or above GPA 3.8 – 3.6) in a relevant discipline or equivalent after having attained a GPA of 3.8 and above at undergraduate level. – Assisting senior staff in preparing content for e-Learning for the ELMS. Director of an Institute and/or the Deputy Vice Chancellor (Academic) from time to time. -Maintains glassware by picking-up, cleaning, washing, sterilizing, and distributing. -Provides glassware by ordering, receiving, and inventorying glassware. -Keeps laboratory supplies ready by inventorying stock, placing orders and verifying receipt. -Documents information by maintaining daily logs and equipment record books. -Resolves problems by examining and evaluating data as well as selecting corrective measures. -Performs any other related duties as assigned the supervisor. -Assists in all technical duties requiring a higher degree of planning and designing competence in the areas of students practical and projects. -Assists in research and development activities. -Assists in maintenance of special needs ICT facilities. -Assists in organizing student practical. -Performs any other related duties as be assigned by the supervisor. Applications should be accompanied with detailed curriculum vitae, certified copies of relevant certificates, together with one coloured passport size photograph of the applicant, names and full contact details of two referees and letters should state how the applicant knew about the vacancy. The applicants should be willing to work in any of the regions in Tanzania Mainland and Zanzibar, as specified in the vacancy list above. No change of work station is possible after being appointed. All applicants who are currently employed in the Public Service should route their application letter through their respective employers indicating their check Numbers. The deadline for receiving applications is TWO WEEKS from the date of the first appearance of this advertisement in the newspaper.